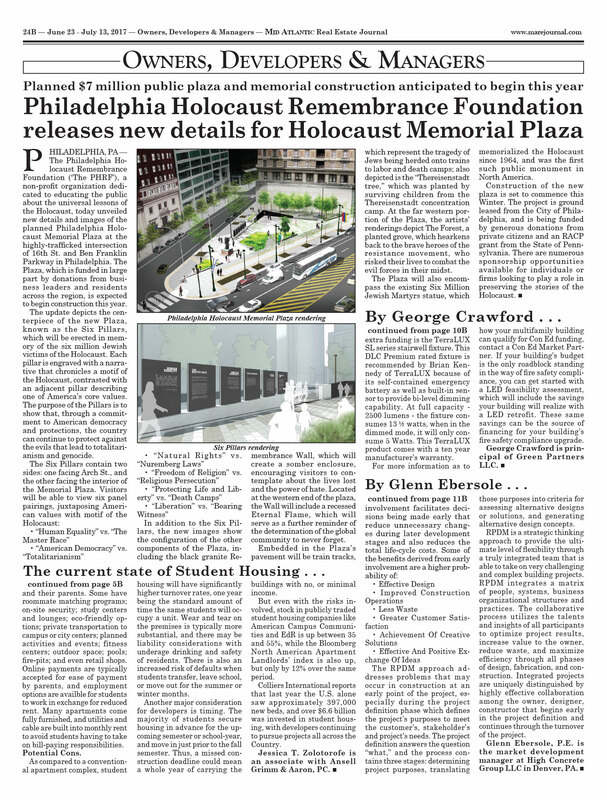 With the Horwitz-Wasserman Holocaust Memorial Plaza complete, the Philadelphia Holocaust Remembrance Foundation is going through a few changes: It will transition its fundraising focus from a capital to an endowment campaign, and Eszter Kutas — a leader of the plaza project — will transition from a consultant to full-time staff member. 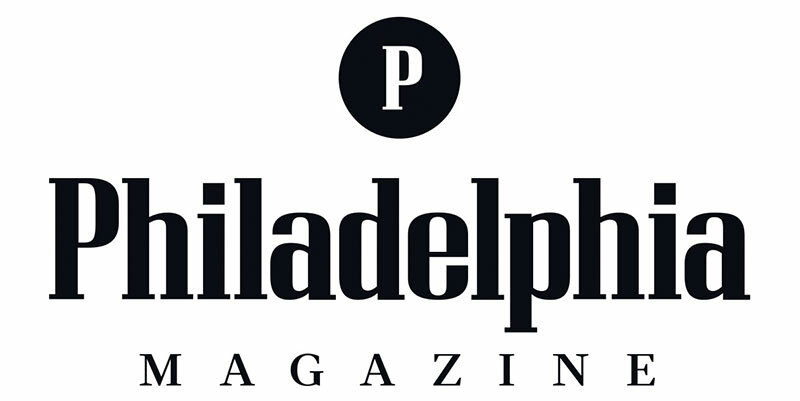 As the project to create a Holocaust memorial plaza at 16th Street and Benjamin Franklin Parkway drew to a close, Campus Apartments Chairman Alan Horwitz decided to step up and contribute the $2 million naming gift — both as a proud father and as a devoted son. In 1964, the first public memorial to the Holocaust in the United States was unveiled in Philadelphia, located along Benjamin Franklin Parkway. More than 50 years later, the area surrounding the memorial expanded and adopted technological advancements for education and further remembrance. Ocean City resident Jerry Greenspan spent his childhood in Philadelphia, where the memorial was constructed. His father, Harold, was one of the Holocaust survivors who helped to design and dedicate the first Holocaust memorial in North America. “I was a child at the time. 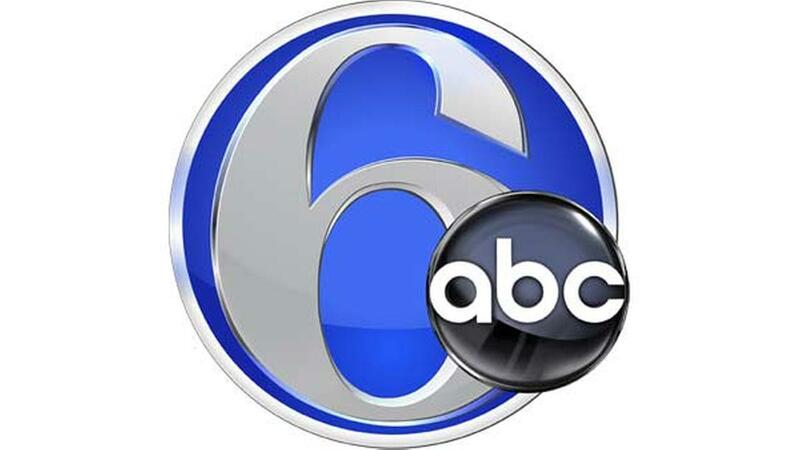 But children were no longer children at the time,” Nussbaum told Philadelphia Weekly. After arriving at Auschwitz, they were separated into two lines. Nossbaum’s newly engaged, 29-year-old aunt was born with a hip deformity, causing a slight a slight limp: she was put in the left line and sent to the gas chambers. Nossbaum and her mother were put sent to the right line and put to work. The first public Holocaust memorial in North America has been expanded and modernized in Philadelphia. A ribbon-cutting ceremony was held Monday morning at the new Holocaust Memorial Plaza located on the Ben Franklin Parkway. Fifty years ago, the original memorial was just a granite sculpture called “Six Million Jewish Martyrs.” It was unveiled in 1964. Many attended the historic event, including a Holocaust survivor. A new interactive app will allow visitors to hear testimonies from survivors, liberators, and witnesses associated with the Philadelphia community. The Holocaust Memorial Plaza opened Monday at a ceremony featuring Holocaust survivors and local dignitaries. Itka Zymuntowicz was just a kid when she was taken from her home in Poland and sent to the Nazi concentration camp at Auschwitz. So for Zymuntowicz, attending the opening of Philadelphia’s Holocaust Memorial Plaza in Center City on Monday morning was a pretty emotional experience. “I feel very grateful that people care enough to do it,” she said. In 1964, the first public memorial to the Holocaust in the United States was unveiled in a solemn ceremony in Philadelphia. The bronze-on-black granite sculpture called “Six Million Jewish Martyrs” was the work of artist Nathan Rapoport, who fled his native Poland when the Nazis invaded Warsaw. It was commissioned by a group of Philadelphia-area Holocaust survivors and Jewish civic leaders. The sculpture, which depicts images of resistance, innocence and faith, has sat unchanged on its perch along the Benjamin Franklin Parkway ever since. Now, after more than half a century, the Holocaust Memorial Plaza has been expanded and enhanced to focus on both remembrance and education. With new displays and an interactive app, visitors can hear testimonies from survivors, liberators and witnesses associated with the Philadelphia community. The new plaza opened Monday at a ceremony featuring local dignitaries and Holocaust survivors. A new downtown plaza built around the “Monument to Six Million Jewish Martyrs,” a Nathan Rapoport sculpture that has stood on the site since 1964, opened on Monday. The plaza adds to the memorial physical items from the Holocaust and uses technology to allow visitors to hear from survivors, some of them now residents of the Philadelphia area. The new surroundings include three sections of train track from the Treblinka camp in Nazi-occupied Poland, which are 4 to 6 feet long and have been embedded in the pavement. There, users of a free app — downloadable at the site — can hear testimonies about people’s experiences being deported by train to concentration camps. Thirty-three years ago, David Adelman used his bar mitzvah money to buy a $2,000 stake in Campus Apartments, the student housing business owned by his mother’s lifelong friend Alan Horwitz. It paved Adelman’s entry into what’s now a national network of student apartments that he has come to lead. Now “Uncle Alan,” as he was once affectionately known, has returned the favor 1,000-fold with a $2 million donation to another venture currently helmed by Adelman: the plaza commemorating Holocaust victims that opens Monday on the Benjamin Franklin Parkway in Center City. In return for that gift, the site will be dubbed the Horwitz-Wasserman Holocaust Plaza in honor of Horwitz and Adelman’s grandfather, Sam Wasserman, who died in 1991 at 81. Monday marks an important chapter in Philadelphia’s history, both as home to one of the nation’s most populous Jewish communities and our centuries-long tradition of religious tolerance and acceptance. Thanks to unprecedented philanthropic efforts that led to a multi-million renovation, Philadelphia’s Holocaust Memorial Plaza is reopening with a reimagined mission as a “living classroom,” enhancing the study of the Holocaust with modern technology. This new plaza for remembrance and learning comes at a critical time in our nation’s history, when we are seeing a disturbing uptick in anti-Semitism and hate-based attacks as well as dangerous, bigoted rhetoric in our public discourse. After just eight months of construction, the brand new Philadelphia Holocaust Memorial Plaza is complete. It will open Monday, Oct. 22, on the Ben Franklin Parkway as a lasting tribute to Philly’s survivors, liberators and witnesses. The triangle of land at the intersection of 16th and Arch has hosted the Six Million Jewish Martyrs statue since 1964, when it became the first public monument of its kind in the United States. Philadelphia is the natural home for such memorials, said Eszter Kutas, acting director of the Philadelphia Holocaust Remembrance Foundation. From here to Texas to California, Holocaust centers ‘speaking up’ amid uptick in hate. Polish President Andrzej Duda recently signed a law that would ban people from using terms like “Polish death camps”or blaming the Polish nation for complicity in the Holocaust. While Auschwitz and other death camps in Poland were obviously built and operated by the Nazis, the law is still extremely troubling. This Tu B’Shevat, as we celebrate the New Year of the Trees, let’s take a moment to consider the story of an extraordinary tree that lives right in our community — a story of survival which stretches from the Holocaust to the present day, and from Eastern Europe to here in Philadelphia. It’s called the Theresienstadt (“ter-RAISIN-staht”) Tree. They may be rivals in the marketplace, but several of the city’s best-known developers are chipping in together on the $7 million makeover of the nation’s first Holocaust monument — a project that hits some of them close to home. In 1964, Philadelphia became home to the first public Holocaust memorial in the United States, the Monument to Six Million Jewish Martyrs. Following an official groundbreaking half a century later, the plaza surrounding it will now be incorporated into part of the memorial. On Tuesday, members of the Philadelphia Holocaust Remembrance Foundation, Holocaust survivors and others gathered below the monument, located at 16th Street and the Benjamin Franklin Parkway, for the groundbreaking of the Holocaust Memorial Plaza. 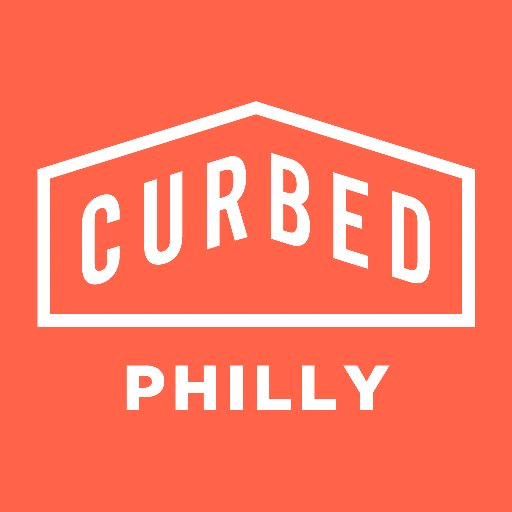 The speakers included PHRF Chairman David Adelman, Mayor Jim Kenney, Attorney General Josh Shapiro and Paul Levy, president and CEO of the Center City District. Big changes are coming to the decades-old Holocaust Memorial on the Benjamin Franklin Parkway after officials gathered Tuesday morning for a ceremonial groundbreaking. Philadelphia is building up one of the oldest Holocaust monuments in the United States. The statue at the foot of the Ben Franklin Parkway has been in place since 1964, and it will remain as part of a $7 million renovation to the area around it. Philadelphia Mayor Jim Kenney was on hand for the groundbreaking for his city’s $7 million Holocaust memorial plaza. A very special ceremony took place in Philadelphia Tuesday. It was a landmark groundbreaking at 16th and The Parkway at the Philadelphia Holocaust Memorial Plaza, which is about to become a major state of the art facility with new trees and six pillars to honor the memory of the 6-million Jews murdered by the Nazis. A ground breaking Tuesday symbolized the beginning of the year long process to transform the head of Ben Franklin Parkway. The city plans to add a memorial park dedicated to the 6 million people killed during the Jewish Holocaust. For the past 53 years, an 18-foot bronze monument to 6 million Jewish martyrs stood alone, but no more. 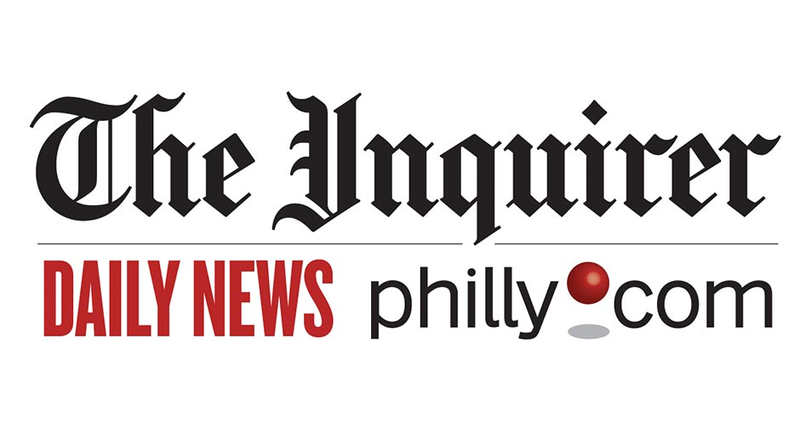 Philadelphia is expanding the nation’s first public Holocaust monument. Philadelphia’s Holocaust Memorial Plaza will include a remembrance wall with an eternal flame. 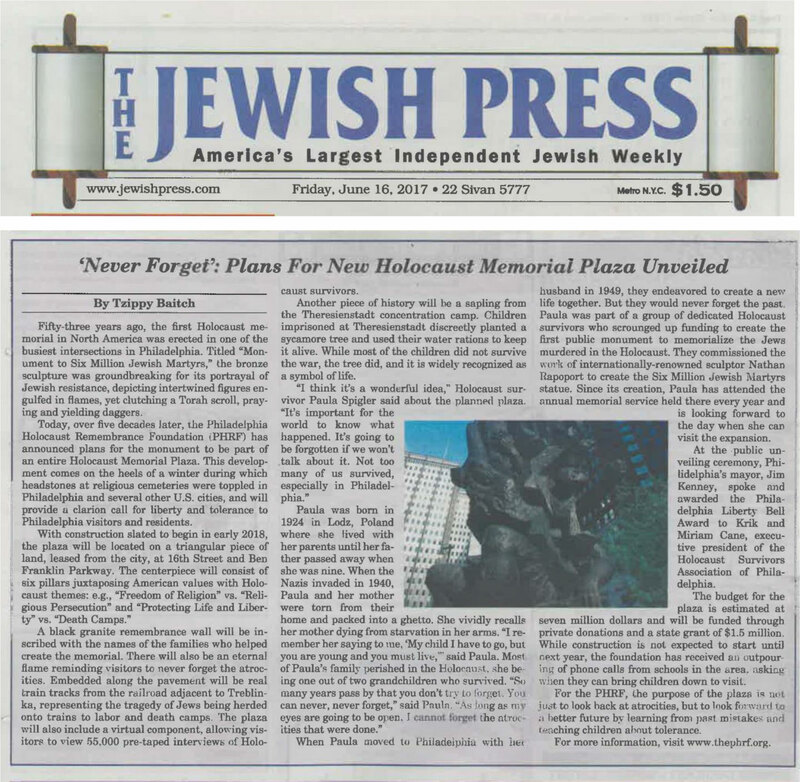 Remember that big announcement in May 2016 about plans for the Philadelphia Holocaust Memorial Plaza at 16th and Arch streets? Well, David Adelman can finally give an update: After a successful initial fundraising push, the project is really happening. 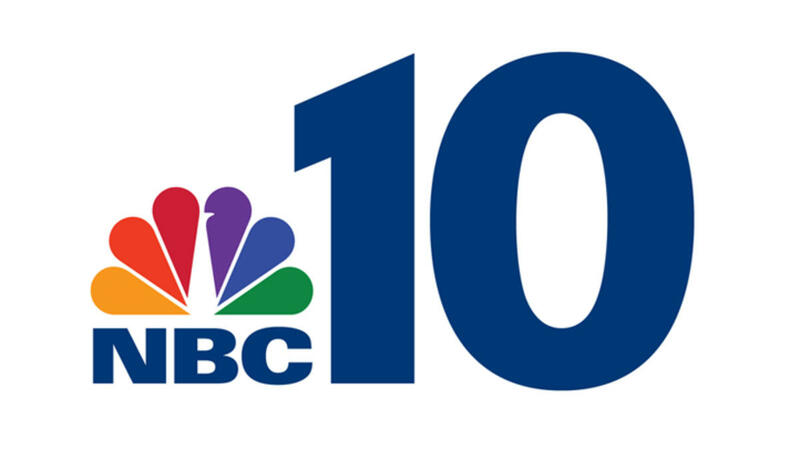 The Philadelphia Holocaust Remembrance Foundation (PHRF) will host a “coming out” event on Nov. 7 at Green Valley Country Club where they will launch a new video and give an update on the construction plans. 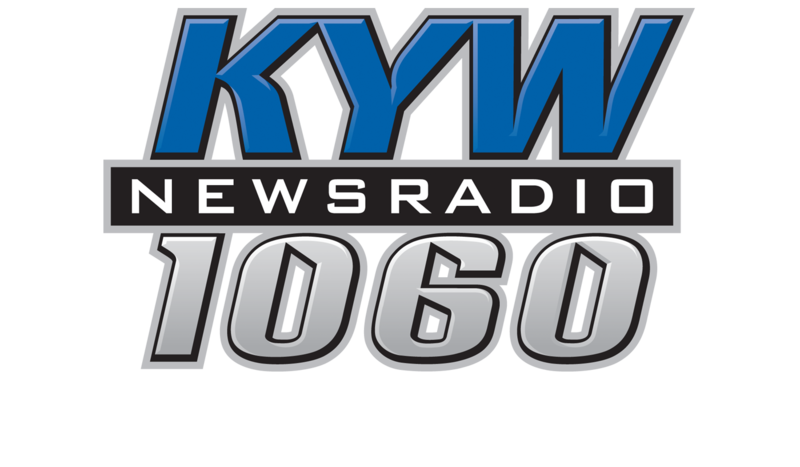 “We’re trying to really set the record straight and show people we have a real project. It’s ready to go, this is really happening, and really introduce it to the community,” said Adelman, chair of the board of the PHRF. In today’s fractured America, the importance of Holocaust remembrance is readily apparent. 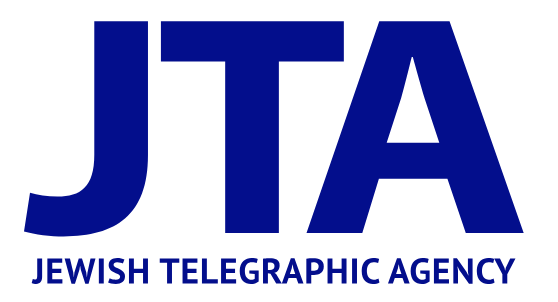 In recent years, our national discourse has been marked by toxic political rhetoric and a startling rise of blatant anti-Semitism and racism on social media and in other forums. For a country founded proudly upon principles of democracy — values still treasured by the vast majority of the populace — the importance of quelling this divisiveness and prejudice is self-evident. And while there may be several methods of healing the country’s ailments, one of the most meaningful is through increasing awareness of the Holocaust, which serves as the starkest reminder in modern times of the horrors that can emerge when these expressions of hatred go unchecked. In 1964, a group of Holocaust survivors presented the City of Philadelphia with the Six Million Jewish Martyrs Statue, the first public Holocaust memorial in the United States. In the ensuing decades, countless communities across the country have recognized the importance of remembrance efforts and developed monuments and educational initiatives that instill within future generations the sobering, but imperative lessons that can be learned from the history of the Holocaust. The Six Million Jewish Martyrs statue has sat at 16th Street and the Benjamin Franklin Parkway since 1964, serving as Philadelphia’s memorial to Holocaust. At the time, it was the first such public monument in the country. But the structure’s getting a massive facelift, and — if all goes smoothly through the construction process — it’ll be transformed into the Philadelphia Holocaust Memorial Plaza by next year. Construction is expected to begin this October or November on the $7 million project, turning what’s currently a single statue into a multi-faceted memorial plaza that aims to contrast motifs of the Holocaust with American constitutional protections and values. In reference to history’s most horrific events, we often utter the words “Never forget.” But perhaps as important is that phrase’s unspoken corollary: Never ignore. Nestled in the cocoon of democratic America seven decades after the Holocaust, many of us go about our daily lives thinking that Nazi-style hatred and prejudice are largely a thing of the past. If only it were so. Like many other forms of irrational hatred, anti-Semitism remains in full bloom in 2017. Cable news channels were recently on high alert with wall-to-wall coverage of the goings-on in Charlottesville. While ostensibly protesting the removal of a statue of Robert E. Lee, demonstrators in the Virginia city chanted “the Jews will not replace us” and carried swastikas — crystal-clear confirmation that anti-Jewish bigotry has not been eradicated. Exactly a year after it was initially announced, the Philadelphia Holocaust Remembrance Foundation has unveiled new images of the $7 million project that will bring an expanded memorial along the Ben Franklin Parkway dedicated to the millions who died in the holocaust. 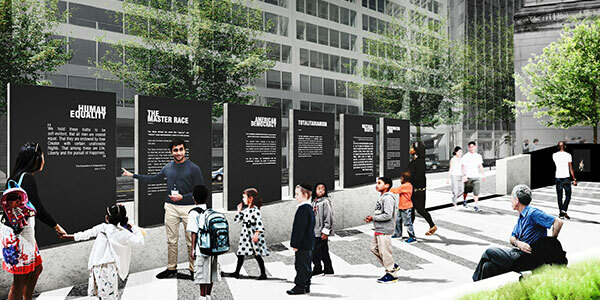 On Thursday – the anniversary of a celebration held on May 11 of last year – the PHRF shared new images of the Six Pillars, intended to be the centerpiece of the Philadelphia Holocaust Memorial Plaza. Friends greeted each other before the ceremony began: “I didn’t know you were involved with this,” said one attendee. “My parents are survivors. I was born in a displaced persons camp,” the other replied to a shocked expression. Nowadays, as so many Holocaust survivors have died, it’s up to their children to tell their stories. That starts with Yom HaShoah, Holocaust Remembrance Day. The annual Memorial Ceremony for the Six Million Jewish Martyrs is an event held by the Jewish Federation of Greater Philadelphia and the Jewish Community Relations Council since 1964. Philadelphia was one of the first American cities to create a monument in honor of the Holocaust. 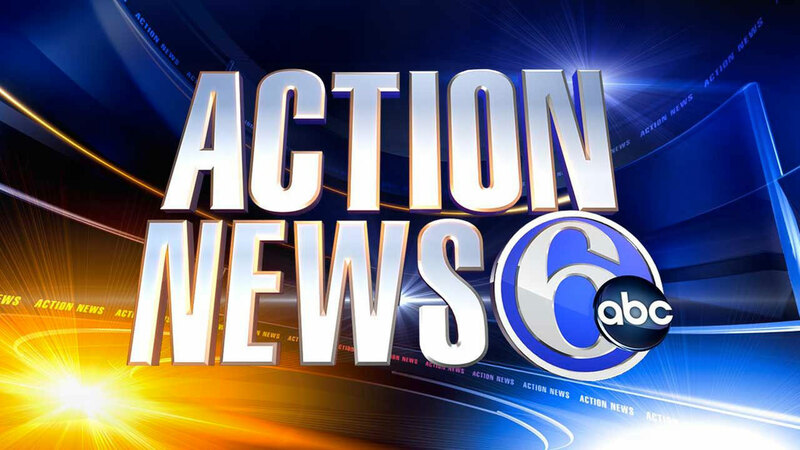 PHILADELPHIA (WPVI) — Back in 1964, Philadelphia was the first city in nation to erect a public memorial to victims of the Holocaust. That monument stands proudly on the Ben Franklin Parkway and will soon be the centerpiece of a Holocaust Memorial Plaza. Miriam Cane is 82 years old and she is the Executive Vice President of the Holocaust Survivors Association of Philadelphia. “Unfortunately the survivors are dwindling, there are very few of us left,” Cane said. Because Miriam still can tell her story of surviving the Holocaust, she does. “I was incarcerated in Siberia, taken from home at age seven and a half, shipped in cattle cars to Siberia where I had no proper food or clothing,” Cane said. Cane wants to ensure that history remains fresh, and those we lost are never far from our thoughts. 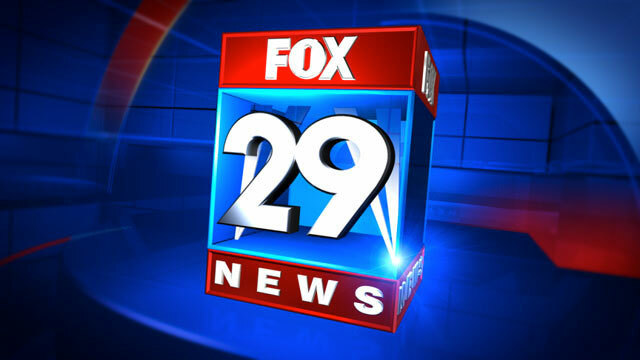 CENTER CITY (WTXF)- A new addition to Holocaust Memorial Plaza will remember victims of one of the most evil events of the 20th century. 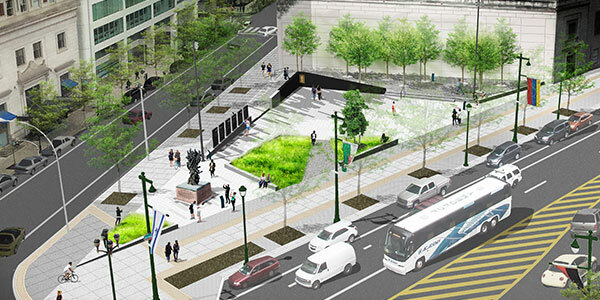 The Philadelphia Holocaust Remembrance Foundation released a picture of proposed enhancements to The Monument to the Six Million Jewish Martyrs, at 16th Street and Ben Franklin Parkway. A group of survivors commissioned the sculpture back in 1964. It was the first public monument in North America. Now, as time goes by and Holocaust survivors pass away, there’s a new effort to preserve their words and experiences. 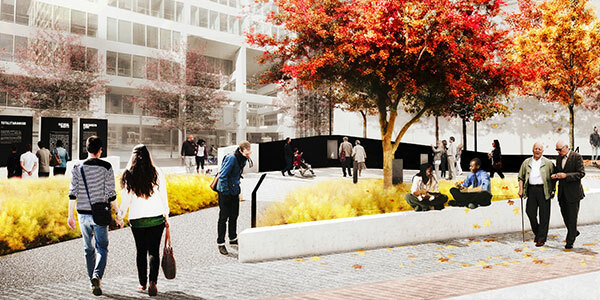 The goal is to create a destination landmark park with an educational and programmatic component that’ll teach visitors the uniquely tragic history of the Holocaust.